Cut by Lupo at Dubplates and Mastering, Berlin. Here we have eight tracks that consist of non-representational synthetic sound objects placed into linear but non-developmental structures. 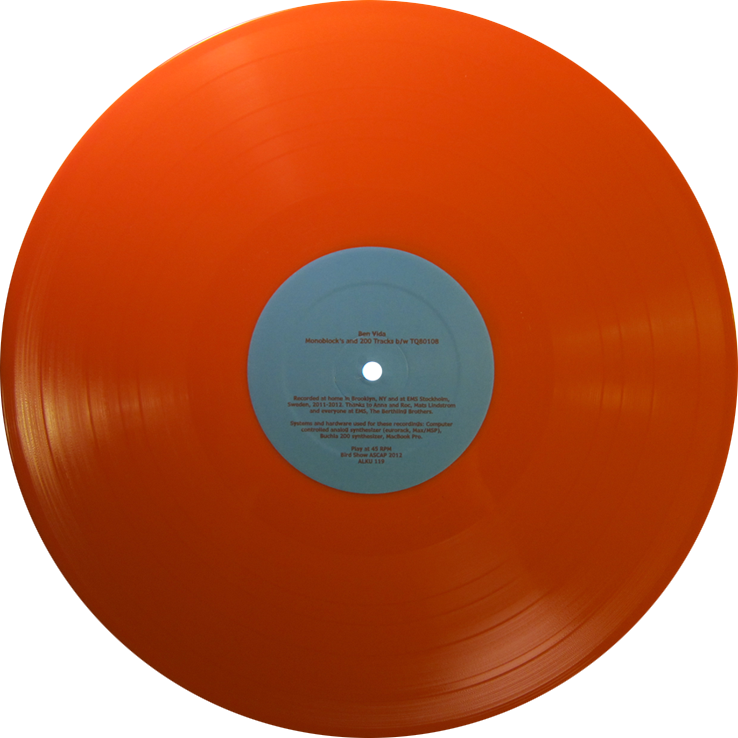 Basically one sound follows the next and the next and the next, relating to one another through proximity – any compositional development becoming a byproduct of the inevitable temporal nature of the 12” record. The use of disjunctive rhythms, unstable pitch centers and ever-shifting envelope shapes all acting to create an anti-evocative sound space. Also at play in this work are examples of how, when a certain kind of sound is projected into a room, it can begin to take on a dimensionality, a density, more akin to a physical object than a sonic event. This sort of sonic object projection functions to make sound localization as prominent a compositional material as rhythm, harmony, or melody. And so these tracks have some things in common with my recent LP esstends-esstendsesstends (PAN, 2012). The attempt to create expanded spatialization using a home stereo (Monoblock’s), arrhythmic propulsion (TQ80108), engaging specific synthesizer systems to derive personalized sound sources (200 tracks); where they contrast from esstends is that they favor moments that document first attempts, shakey gestures and loose ends over refinement of form or consideration for development. Where as the pieces on esstends focused on compositionally functional structures (musicality? ), this work demonstrates an engagement in a less ridged approach to track production. That some of this material was produced while I was a composer in residence at EMS, Stockholm is no coincidence – here we have a setting where an encouragement to experiment is coupled with a finite amount of time to work, so the tempo of production (quick!) and the need for really long days of focused energies (perversion!) becomes an intrinsic aspect of the compositions. Monoblock’s were recorded in mono. 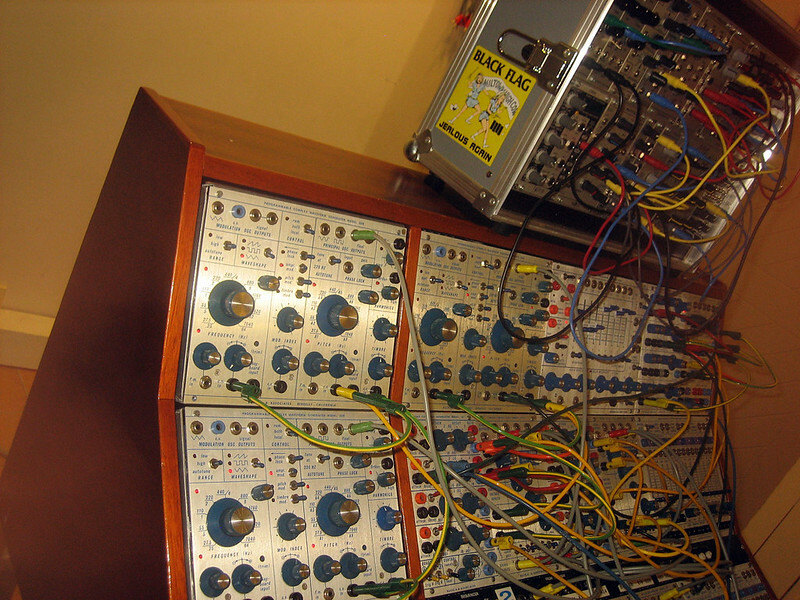 200 Tracks were produced using a Buchla 200 synthesizer. TQ80108 is a title of absolutely no significance (well, maybe a little…).